The 1906 earthquake rocked San Francisco and the all-consuming fire that followed destroyed an estimated 25,000 buildings, including many of the gilded era mansions of San Francisco’s wealthy. Gold Rush ship-turned-hotel buried underneath San Francisco's financial district. 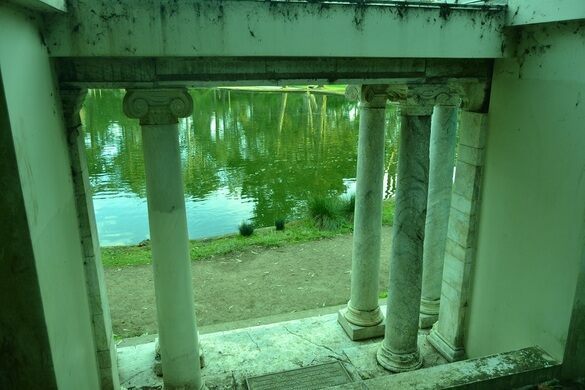 This small columned memorial sits on the edge of Lloyd Lake in Golden Gate Park as a reminder of all that was lost. 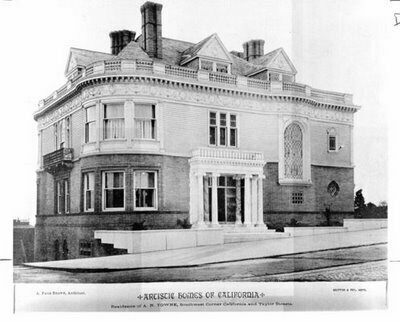 The portals began their life at the front entry to the 1891 Nob Hill mansion of railroad tycoon Alban Towne on California Street, which ended up being one of the many structural casualties in the fire and mayhem following the great earthquake. 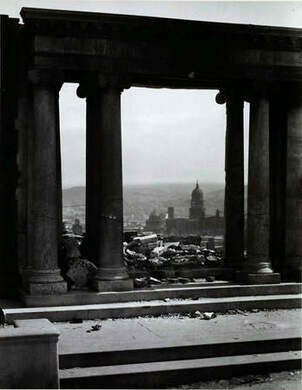 The photographer Arnold Genthe caught an iconic image of the smoldering ruins of San Francisco framed between these columns. Genthe spent the hours and days after the quake walking the streets and taking photos of the devastation. While he documented the damage elsewhere, his own studio was destroyed, taking with it all of his possessions and all of his earlier photography, with the exception of a few negatives he had stored elsewhere. Later Genthe’s photograph was recreated as a painting for the historic Bohemian Club in San Francisco. The image became an emblem of the loss of an era in the city, before the rebuilding began. 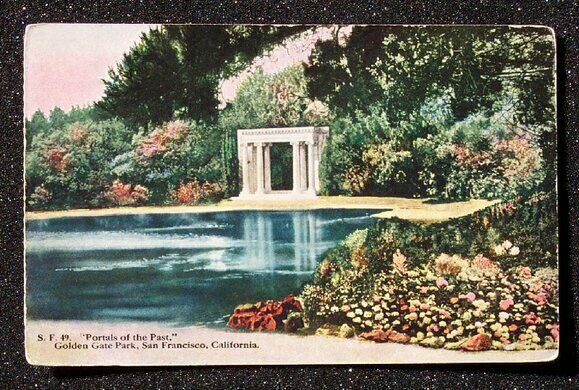 The portals were placed on the edge of the diminutive Lloyd Lake in Golden Gate Park in 1909 as a remembrance when the original location was cleared of rubble. In 2008 the San Francisco Arts Commission completed a restoration of the monument, cleaning and making repairs to damaged pillars and doing seismic retrofits. With their loving makeover, the portals resemble even more closely what they symbolize, opportunity and optimism rising out of the rubble of tragedy. The portals are visible on the far side of Lloyd Lake along John F Kennedy Dr. in the west end of Golden Gate Park. Approximately 250,000 people left homeless by the great earthquake and fires found shelter in Golden Gate Park. Once the site of speeding horses, now home to picnickers and public concerts. A monumental cross hides in the trees in Golden Gate Park. 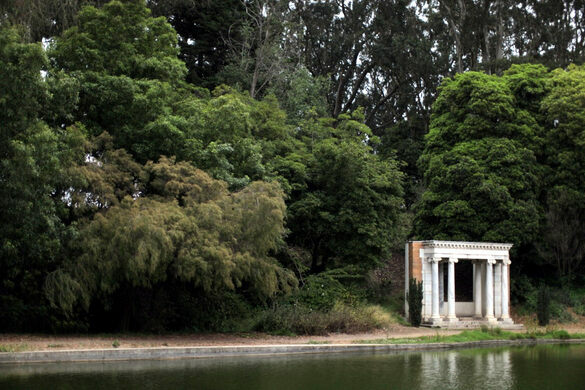 Barely visible foundations remain where Stow Lake’s “observatory” once welcomed visitors.